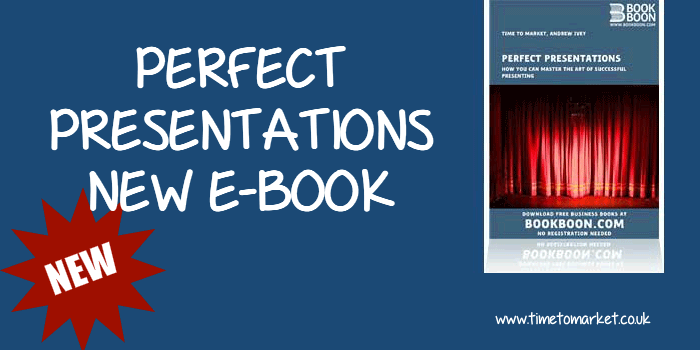 Written by Andrew Ivey, Time to Market’s principal trainer, the perfect presentations eBook is published by BookBoon, the eBook training and specialist learning publisher. The 50 page perfect presentations eBook (ISBN: 978-87-7681-614-8), ideal for reading on a short business trip, can be downloaded at the BookBoon publishing website. Based in Oxford and operational since 2001, Time to Market is a successful presentation skills training business. The company runs off-site and on-site presentation training courses throughout the United Kingdom from a network of more than 40 presentation training centres. PresentPerfectTM is a practical hands-on presentation skills training course. Available in half day, full day and two-day formats the course combines one to one tuition, demonstration and individual practice. Open courses are available at selected venues for participants from any organisation. Class size is limited to six participants. Each course is designed for participants to get the most from their presentations. That means having the confidence to give perfect presentations every time whatever the occasion. 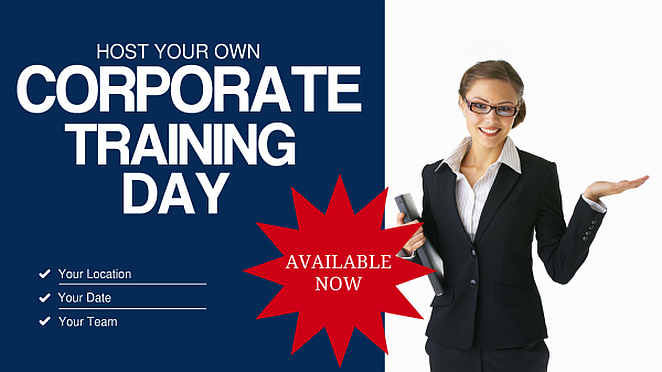 Tailored presentation courses are available for participants exclusively from one company or workplace. Available at off-site specialist training centres or at client’s premises a PresentPerfectTM training course is your route to perfect presentations every time.